Avida Communities Antipolo St.Alexandra Estates offers a new house model called MALLORCA, an Antipolo house and lot package in the P5.055 million to P5.302 million range (prices subject to change without prior notice). The lot area is 204 sq meters, while the floor area is 105 sq meters. Also MARSALA house model is now open for sale in the P5.217 million to P6.875 million range (prices subject to change without prior notice). The lot area is 204, 224 and 279 sq meters, while the floor area is 125 sq meters. Only 5 units of MALLORCA and 5 units of MARSALA are available. Would you like to see some Antipolo house and lots? 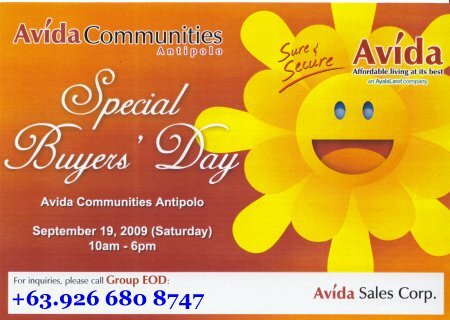 You are invited to the September 19, 2009 Buyer’s Day at Avida Communities Antipolo. 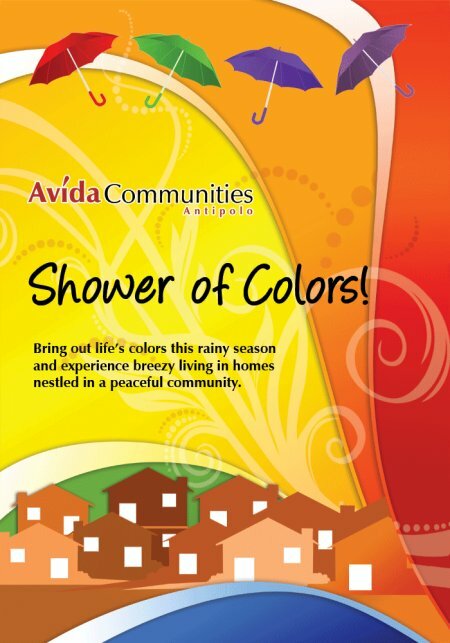 Avida Communities Antipolo offers you a special promo package: 5 years deferred payment at zero interest. If you pay a 10% spot downpayment, you may cover the remaining 90% over 60 months. Spot downpayment of 15%, cover the 85% balance over 60 months. You can also avail of a similar arrangement using an 20% DP / 80% balance over 60 months scheme. All the spot DP packages come with a 5% discount. This offer is available for a limited time, so please get in touch with an Avida Land Antipolo property specialist today. 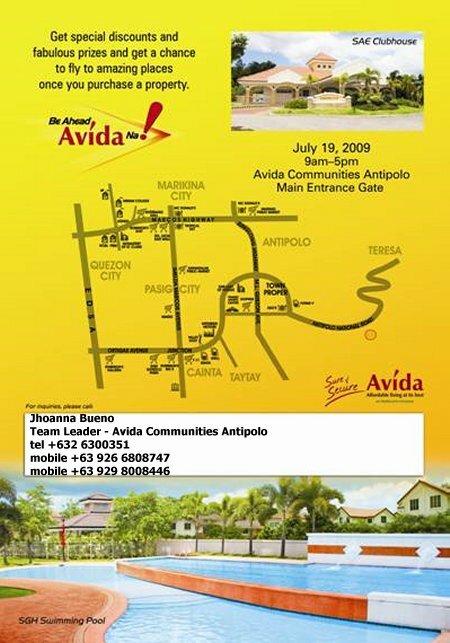 Avida Communities Antipolo invites you to an open house on July 19, 2009 from 9:00am to 5:00pm at the main entrance gate.